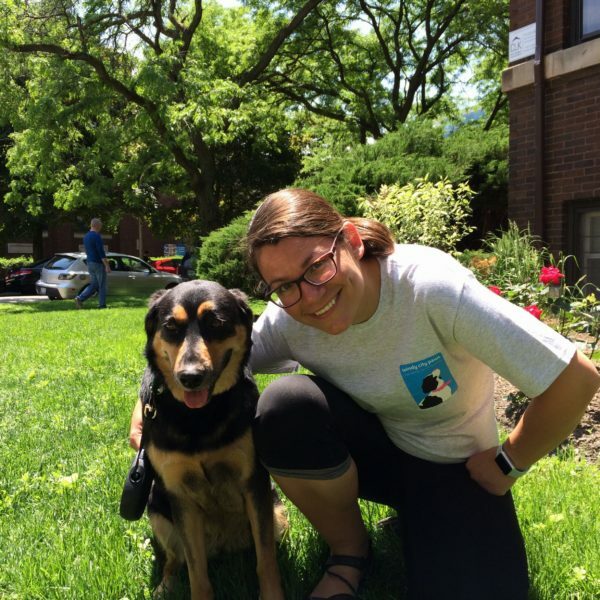 Kendrae H. has been a dog walker with Windy City Paws for over two years, and we and her clients love her! Read on to find out more about our fantastic walker Kendrae! How did you end up in Chicago? My boyfriend Chris and I wanted to leave the nest, and so we went on a 10-day trip around to the cities we were interested in moving to. We were in Chicago for less than one day (the shortest time of all the cites we saw), and it was raining the entire time! I fell in love with Chicago in about 5 seconds and and nothing else we saw after that compared! We moved here 2 months later in September of 2013. I love to read, watch tv, and be outside! Do you have pets? If so, what kind and what are their names? Tell us about their personalities. I currently have two fish named Amy and Rory after the BBC show, Doctor Who’s companions. They are very chill and almost 2 years old. 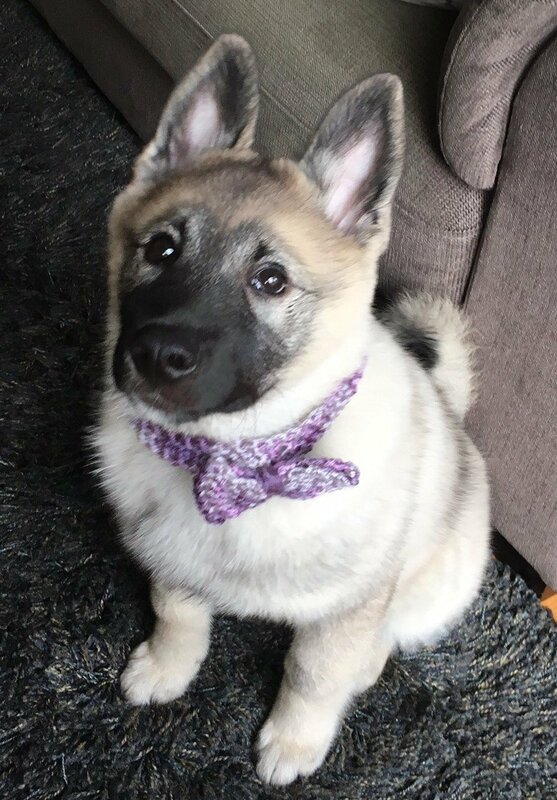 If you were a dog, what breed would you be and why? If I were a dog I’d be a Bichon Frisè. As a kid I begged my parents for a dog and they finally relented and we got my dog Missy when I was 10. I trained her in my image and she trained me in hers. 🙂 We were very alike and my family would say she’d be like me as a human and I like her as a dog! If dogs could run for public office, which breed do you think would make the best president? I can’t even decide which humans should be president lol! I’d say a golden retriever! Loyal, kind, (easily trained lol), and compassionate! They can sense others needs and will react accordingly and are always looking to lend a helping hand! The golden I walk, Bella Toy, is all of those and more! Why did you decide to become a dog walker? My mom says I’ve loved dogs since I knew what one was. I was the go-to pet sitter in my neighborhood growing up and lost dogs would find me (somehow! ), and I’d get them home :). So when I wasn’t sure what I wanted to do when I moved here, my sister suggested dog walking and it clicked! Now I couldn’t imagine a better, more fun job! What’s the weirdest thing about being a dog walker? The weirdest part of dog walking is the first time being in a client’s home. Not knowing exactly where to go and being in someone’s personal space before getting to know them is strange at first! What would people never guess is part of your job as a dog walker? Talking to people? There is more human interaction than you’d think! I’m lucky and have gotten to know a lot of my clients very well! What is your biggest pet peeve while walking dogs? When the dog you are walking forgets they are on a leash and crosses to the other side of you, going behind you and then you end up with the leash all tangled! What’s the best part about being a dog walker? If you’d like to learn more about Kendrae, you can view her profile on our walker page. 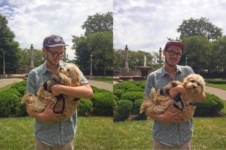 Thank you for everything you do Kendrae–we’re so glad to have you on the Windy City Paws team! 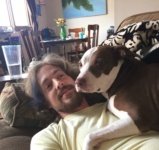 Walker Spotlight – Ben K.
Walker Spotlight – Rigby N.
Walker Spotlight – Marianne S.
Walker Spotlight – Sarah F.